Plus a one year ban. A professional Super Smash Bros player has lost his sponsorship deal after allegedly sexually assaulting a caster at the Las Vegas EVO tournament. Cristian Medina, who plays as "Hyuga," was accused by caster "VikkiKitty" of performing lewd acts while staying in her and her boyfriend's hotel room. They had invited Hyuga to stay to prevent him from wandering Vegas "drunk and alone," and it was understood he was to sleep on the floor. "I fell asleep next my boyfriend on the bed and I woke up to Cristian in between my boyfriend and I, rubbing against me and sliding his hands up my shirt and another down my pants," said VikkiKitty on Twitter. "I told him to leave me alone and to get back on the floor, repeatedly. He's drunk and doesn't get off me so I say it even LOUDER until someone in my room woke up to see what was going on." Even after changing beds, Hyuga reportedly attempted to continue his advances, before being kicked out of the room. "This has never happened to me and I was frightened so after they kicked him out I started to break down in tears," continued VikkiKitty. "Did my 'friend' actually attempt doing this to me? Why wouldn't he leave me alone? What if I was alone? We filed a police report." Hyuga's sponsor, VGBootCamp, rapidly issued a statement saying that despite his intoxication, "there is absolutely no excuse for [Hyuga's] actions," and that he would "no longer be a representative of the VGBC pro team." Additionally, the Global Smash 4 Leadership Group recommended "banning Cristian "Hyuga" Medina from competing until July 17th, 2017 as a first offense," with any second offense resulting in a lifetime ban. Hyuga has since deleted his Twitter account. 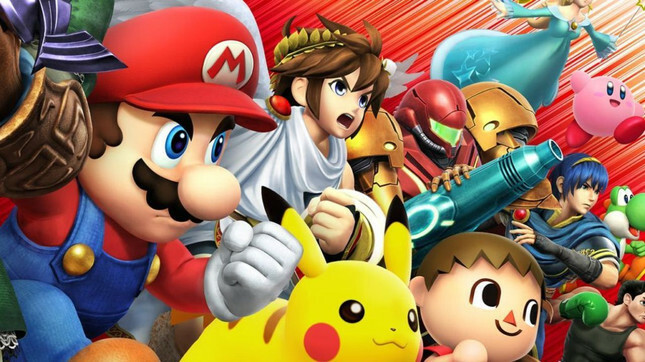 ▰ 6 Could figurines be required to unlock Super Smash Bros. characters on Wii U?